With all your choices in restoration companies, how do you determine the right one for the job? 24/7 Property Cleaning and Restoration is the ONLY choice for water clean up in the New York and New Jersey areas. When a home disaster happens and you suddenly experience an onslaught of water rushing about your home, it is daunting and likely leaves you paralyzed not knowing what to do next, let alone who to call. Find refuge in 24/7 Property Cleaning and Restoration water cleanup services. When you’re in panic mode and combing the internet for an emergency water cleanup company to get to you immediately, the search will likely yield a host of restoration companies from which to choose. There are more than 11 companies that populate for water cleanup in the New York and New Jersey regions. So, how do you begin to sift through the companies to find the best — especially in a situation where time is of the essence? With 24/7 Property Cleaning and Restoration, we’ll take the guesswork and eeny, meeny, miny, moe tactics out of your decision! Make a decision about water restoration that you feel good about. At 24/7 Property Cleaning and Restoration, we’ve been leading the home restoration industry on the East Coast year after year because we have the skills and experience to tackle what flooding may bring and execute them appropriately. Why is it important to have a company with experience? More often than not, people will choose a company with experience — it’s a natural part of sorting through who can provide the best services. Experience in the restoration field is crucial and can mean all the difference in the outcome and faring of your home — and most homeowners don’t want to sacrifice quality. When you work with us, you have experience on your side. 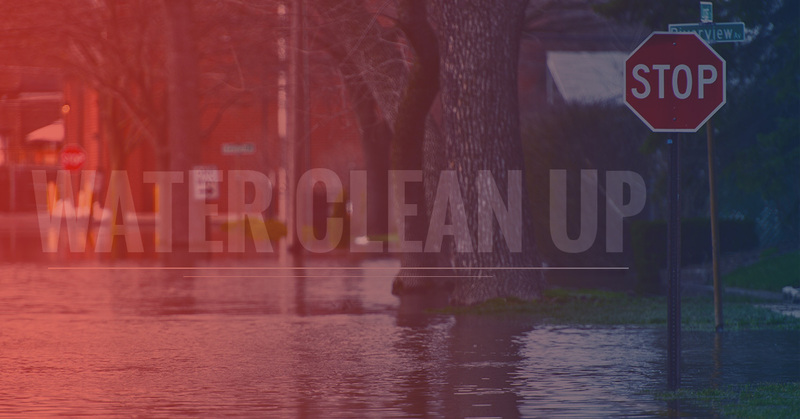 We’ve seen the waxing and waning of natural disasters in Nor’easters and hurricanes, and home accidents such as sewage back up and burst pipes that cause flooding that encompass New York and New Jersey — small, large, and everything in between. Because we have the experience, we can quickly assess the damage and work promptly to restore your home back to the way it once was. Home flooding comes on swiftly, whatever the cause — mother nature or the hot water heater going out. When you find flooding, it’s important to act immediately to avoid a host of issues that could make matters worse. Once you’ve made arrangements with a water restoration company, many times you’re forced to vacate your home after a flood, so follow along and find out the best procedure to take when doing so. If the flood was a result of a natural disaster, walk around your property and ensure that there are no downed power lines or safety hazards that could occur with standing water. If you happen to smell gas outside, that could indicate a gas leak which is also a potential hazard, so connect with your utility company to combat the issue. Flooding is also responsible for structural damage, so make sure walls aren’t damaged or structures like overhangs and porches aren’t going to collapse. If you’re preparing to re-enter your home after a flood, here are some clothing items that may come in handy and provide additional protection. Rubber boots – You can wear rain boots or utility boots, as long as they’re rubber and have a protective sole. Because you don’t know what’s floating around in the dark murky waters, there may be sharp or dangerous objects you could step on so having boots is recommended. Dust mask – Look for a 95-micron dust mask to help filter the particles in the air, including mold. Work gloves – If you can wear rubberized work gloves those are ideal, but any tough pair of work gloves will work. Since you may be moving things around in standing water that may contain sewage, protecting your hands is important. Water-resistant clothing – Since you’re exposed to water, it’s only natural that you wear water-resistant clothing to keep from getting drenched in potentially hazardous water. Waders and a hard-hat are also good protective clothing items to have. Wooden stick – Having a wooden stick is imperative because it can turn off breakers and fend off any wildlife that may have entered. Always ensure that the stick is dry if you’re shutting off power breakers. Heavy duty trash bags – There will be a lot of debris from the flood and you’ll like have to throw some things out. Invest in some good, sturdy trash bags to assist you in this process. Call water cleanup professionals immediately. Moving artwork and photos to a dry location to avoid further damage including secondary condensation. Move important books out of the home and spread them out or rest them on their covers to help them dry. Remove curtains and drapes, hang them over a hanger, and move them to a dry location. If you have wood furniture and wood detailing, wipe them down and open any drawers to help them air dry. With any upholstered furniture, prop the cushions up and place tin foil underneath to protect them from the wet floor surface. Vacuum up standing water with a household vacuum. Use electrical appliances that are on wet or damp floors. Do not use fans to try and dry your home. This can blow contaminated particles to unaffected areas, causing new issues. Water damage inspection and assessment – This process begins with an in-depth inspection of your property and includes a damage assessment. With this assessment, we’ll develop a plan of action and the breadth of damage incurred. Our technicians will work skillfully to identify the source of flooding and if water contamination has occurred. It’s imperative to locate the source of water before the water extraction and drying process can happen. Water extraction will remove a majority of the flooding and standing water from your home to prevent mold and increase the drying time. Powerful pumps and vacuums are employed to rapidly remove water from your home. The equipment we use to address this manipulates the humidity and temperature that include dehumidifiers and air movers. When flooding exists, it’s common for your home to need cleaning and sanitization. This keeps your home clean and free from hazardous sewage and mold from sporing. At this time we can also perform odor removal and deodorization to tackle any odors from sewage or mold, while our sanitization methods use antibacterial and antimicrobial treatments to mitigate any health issues down the road. Restoration is the final step in flood and water cleanup. This process may involve major (reconstruction of rooms) or minor repairs to your home (carpet) to your home. At 24/7 Property Cleaning and Restoration, we move swiftly through our water cleanup process to get you back into your home and into the place it was before the flooding occurred. Storm and flooding – water heaters, plumbing, overflowing toilets, sinks, and bathtubs. Basement flooding – thunderstorms, hurricanes, tornadoes, and tropical storms. After a flood happens, it catches you off guard and you’re likely in a stressed-state and unable to make the best decisions. Remember your safety always comes first, so think before you begin to secure your home. Begin to check the exterior and then move to the interior of your home and always wear protective gear if you do go back into your house. Once we’re able to get in, our water cleanup process begins promptly with an assessment, water removal, drying, and cleaning. But, what happens to your belongings after your home is addressed? Read more about it below. Oftentimes when a flood occurs homeowners are completely entrenched in the flood damage cleanup, that they’re personal items are forgotten — that is until they get back into their home and realize what a mess their belongings are! Floods not only damage your home, they damage your clothes and other belongings with mud and sewage. From this point sort your laundry as you normally would such as lights, darks, and delicates. If your clothes are badly soiled, you can first rinse them off outside with a hose — if you go straight to the washer with muddy, sludgy clothes, it can clog up the washer. After the pre-rinse, you’ll want to wash your clothes in the hottest amount of water the material can handle. To disinfect whites from any leftover bacteria or sewage, use chlorine bleach to treat them. For clothing that can’t be treated with bleach, you can use a product similar to Lysol for a disinfectant. Once your clothes are washed, dry them on the hottest heat the material can handle to ensure all remaining bacteria is taken care of. On a sunny day, hang whites outside as the UV light will help to kill the bacteria as well. Sort clothing in a place where bacteria cannot be spread and disinfect any surface that comes into contact with the clothing. Avoid storing clothing in a plastic bag as this can encourage mold and staining. Spread your clothes out and allow them to air dry. Check your washer and ensure it’s not contaminated with flood waters before you begin cleaning your clothes. Pre-washing them with a hose. Washing them in the hottest water the fabric can handle. Using a disinfectant such as Lysol in the load. Drying your clothes on the hottest setting the clothing can handle, and air drying whites outside in the sun. Now that we’ve looked at clothing, how do you tackle items such as leather goods including hats, shoes, and handbags? While the mud is still wet, rinse it from the leather item. It’s important to do this when they’re wet so you don’t have to scrape the leather and create further damage. Brush and buff the remaining dirt and debris with a soft cloth, paying attention to the nooks and crannies of the stitching and hard-to-reach areas. To reshape damp shoes or handbags, stuff with paper towels but avoid newspaper as the ink can bleed. Dry your leather goods at room temperature and keep them from excessive heat such as the sun or directly in front of the heater. 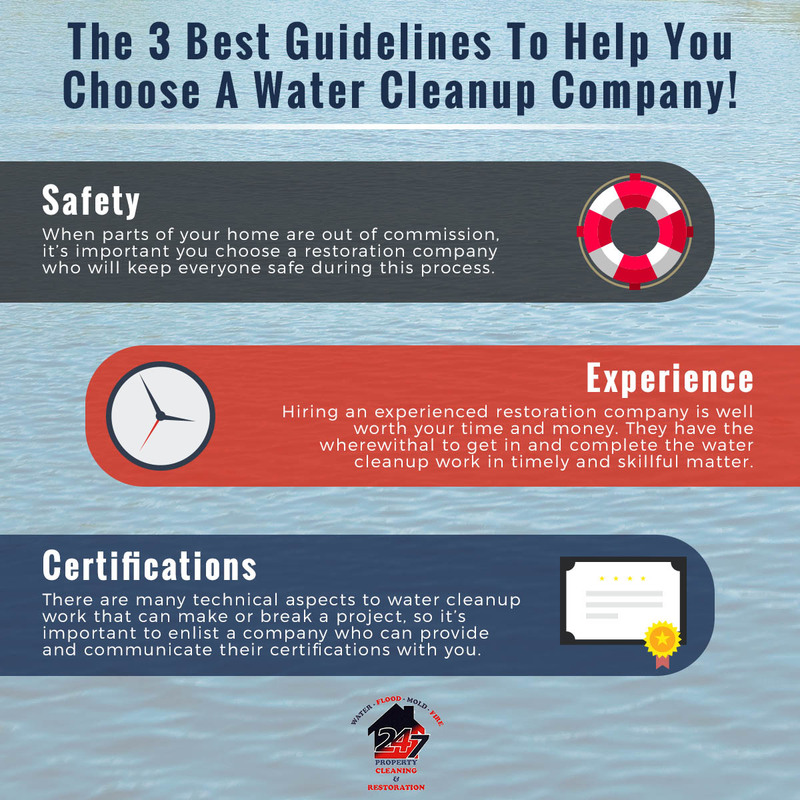 Now that you have an idea of what you as a homeowner can do to assist in the water cleanup process, why work with us? Flooding leaves you ill-prepared and you often don’t know where to start in the chaos of it all. Working with the water restoration experts calms the chaos. Following a flood, do you feel like you have a million things to do to check off your list? 24/7 property Cleaning and Restoration can help you with a few. We respond rapidly and understand the urgency of your situation – Find refuge in us, as we’ll work to get in and address the water damage, and quickly get out so you can get back to your normal life. We help with insurance – Insurance is always tricky to navigate, but as a water cleanup company, we have experience. We can help you navigate your claim and work with your insurance to settle claims promptly. We’re accomplished – In the New York and New Jersey regions that often see violent and damaging storms, it’s easy for companies to take advantage of your home tragedy. Restoration companies will pop up overnight to exploit you and leave a wake of shoddy work. At 24/7 Property Cleaning and Restoration, we’ve been around and have experience with all different kinds of flood damage cleanup. We won’t leave you hanging in an emergency situation. 30 minute response time from the first contact. Onsite within the first few hours. Upfront documentation and thorough property assessments. Empathy, care, and communication for the client. We impart innovation and industry-leading tools and equipment, but it’s our workmanship that sets us apart in our water restoration services. Passing a thorough background check. Training and certification in a myriad of restoration areas. Consistently perform services according to the high standards set by the company. Water damage is inconvenient and puts a kink in your daily life. It can be a result of home-caused issues such as sewage backup, burst pipes, or a hot water heater blow out. Other water damage comes fiercely from mother nature and floods basements and homes — damaging everything in its path. For the best, most thorough water cleanup services in the New York and New Jersey area, work with us today.